You are having a great time with family and friends and all of a sudden someone spills wine on the carpet. You panic and start doing the first thing that comes to mind. 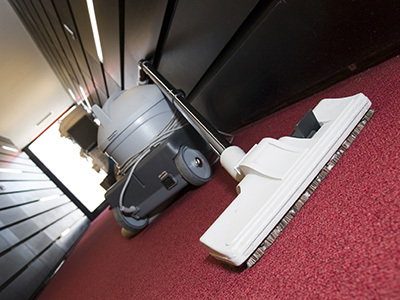 After putting a lot of time and effort into removing the stain you realize that it’s there to stay, unless you opt for deep carpet cleaning. Could you have taken a different path? Probably. Check out the most commonly made mistakes and learn how to avoid them. Do you usually start by applying some kind of liquid on the spot straight away? If so, you should know that this is a huge stain removal mistake. 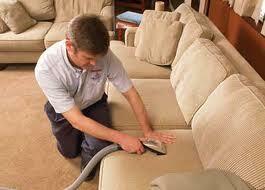 The first thing to do is to remove as much of the liquid soiling the carpet as possible. This is the best way to reduce the presence of coloring agents and other compounds that make up the stain. What's the best way to blot stains? Get several sheets of kitchen paper towel. It may go without saying, but it has to be white. Otherwise, its color may leek into the carpet. Place the sheets over the stains and press gently. Repeat this until the carpet is almost completely dry. Do you place the dustpan next to the small pile of food and use a brush to get it inside? 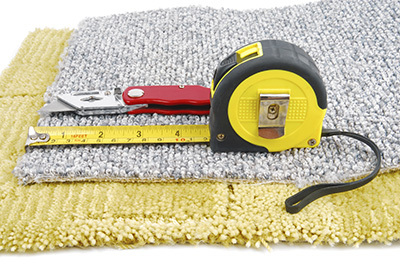 This can work really well for tile floor cleaning, but not when the stain is on the carpet. This kind of technique can 'help' spread the stain. What’s the right method to use, then? Get a metal spoon to scoop the food from the floor. Scoop it from the outside to the center, so that the risk of spreading the stain is completely eliminated. Then you can begin the actual cleaning. Dampen a soft white towel just a little bit and rub gently. Do you use the first cleaner that you come across or apply something that you find in the kitchen like baking soda? This may seem like a great emergency solution, but you risk getting things terribly wrong if the compound reacts with the stain or with the carpet dye. 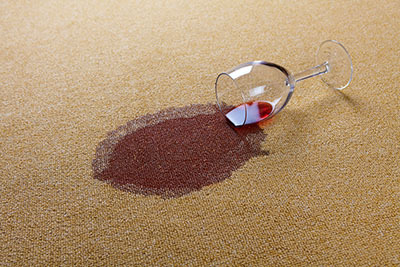 Don’t rush things and use a product which is safe for your carpet and which is formulated to target the particular type of stain which you have. Try to focus on eco-friendly products.